The Bürstner Nexxo is globally Burstner’s best-selling motorhome – and it’s easy to see why. Like all Burstners, a Burstner Nexxo is extremely well designed, featuring lean, clean lines. 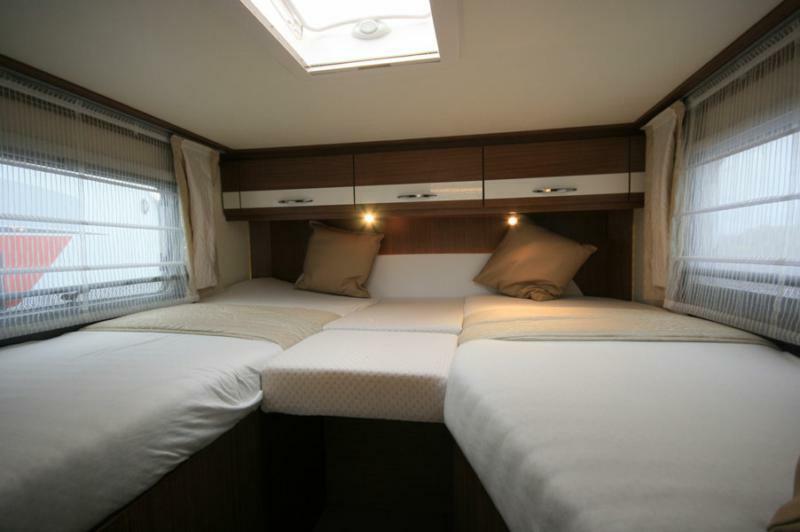 And, this four berth motorhome works as good as it looks, fired by its Fiat Ducato 2.3 130 HP engine. Like the Ixeo, the Burstner Nexxo comes in a Sovereign range combining premium quality with affordable pricing. The floor plans on a new Bürstner Nexxo Sovereign maximize every inch of space in a practical as opposed to cramped fashion. Emm-Bee, one of the UK’s largest Burstner dealers, carries the new 2016 Burstner Nexxo Sovereign models in stock. 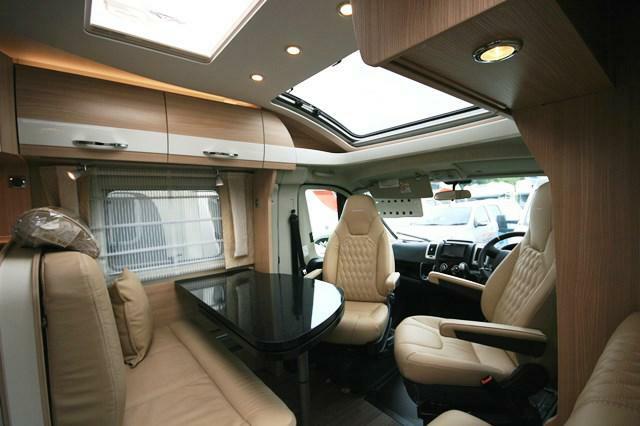 These motorhomes are ideal for anyone who places a premium on superb styling married to German engine efficiency. There is a formidable range of features with the Nexxo Sovereign motorhome models that belie them being medium sized motorhomes. Many of these outstanding features come as standard, such as a low-frame chassis, pivot pilot seats, fridge-freezer, a wide-track rear axle for more stability on the road, fixed beds with foam mattresses, central gas heating, graphite painted cab with matching decals, driver and Passenger Airbags and a sizeable bathroom with tons of storage. Additionally, there’s some real design flourishes as standard on the inside as well as the exterior, such as chrome ringed instruments, aluminium style vent, leather trimmed steering wheel and gear stick, pine furniture and leather upholstery on seating. 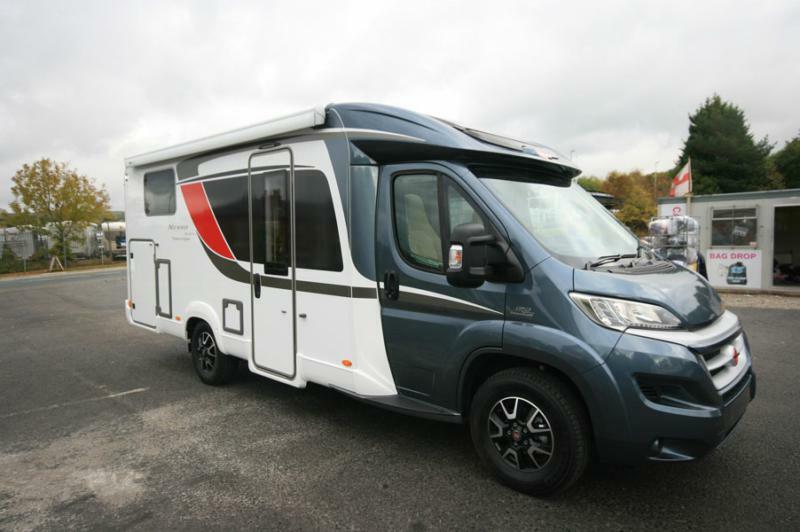 Also as standard are great motorhome driving aids like cruise control, central locking, can air conditioning, daytime running lights, and a Pioneer multimedia system which seems to do everything but make you a cup of tea, such as music, climate control and navigation. But don’t just take our word that a Burstner Nexxo is hard to beat. Unlike many motorhome dealers, we have Burstner Nexxo vehicles in stock for you to browse. And should you buy one of our Burstner Sovereign motorhomes, you’ll find a fantastic after sales service too, along with a choice of Burstner Nexxo accessories. If you have any questions about whether a Burstner Nexxo Sovereign is right for you, or want to arrange a test drive, talk to Emm-Bee today.